Senator Gayle Slossberg is a dynamic leader who exemplifies a lifetime of community involvement. First elected in 2004, Senator Slossberg was reelected in 2016 for her seventh term as the State Senator representing Milford, Orange, the southern half of West Haven, and part of Woodbridge. She is Senate Co-Chair of the General Assembly’s Education and Housing committees and Vice Chair of the Government Administration & Elections Committee. She is also a member of the Appropriations and Regulation Review committees. During her time in the legislature, Senator Slossberg has earned a reputation as a tireless advocate for job creation in Connecticut. She was responsible for developing the first tax incentive program in the state aimed at increasing job growth and enticing new businesses to move to Connecticut. Senator Slossberg’s program became an essential part of landmark jobs legislation passed in 2011 and expanded upon in 2012. As part of this legislation, Connecticut created the highly successful Small Business Express Program. This program provides loans and grants to small business to spur business growth and promote job creation. So far, fifteen businesses in Milford, Orange, and West Haven have participated in the program, enabling the creation of 39 jobs and the retention of 155 more. As Chair of the Government Administration & Elections Committee, Senator Slossberg was a strong voice for transparent and ethical state and municipal government. She was the driving force behind sweeping campaign finance reforms, and helped shepherd legislation to create public financing for campaigns in Connecticut. She also fought for the empowerment of voters by leading the Senate in approving a resolution that gives 17-year olds who will be 18 by the general election the right to vote in primary elections. As Chair of the Veterans Affairs Committee, Senator Slossberg championed the most comprehensive veterans’ benefits package since WWII. This package included the state’s Military Family Relief Fund, which, during a time of hardship, provides financial assistance to immediate family members of people serving in both the U.S. Armed Forces and the Connecticut National Guard. Veterans’ disability payments are now excluded when determining income for purposes of income-based property tax exemptions, making the exemptions available to a greater number of veterans. Senator Slossberg also created a Depleted Uranium Task Force, the first of its kind in the country (nearly 20 other states have followed her lead), to study the effects that toxic substances had on soldiers who fought in the Middle East. The Task Force called for the creation of a health registry to assist veterans in seeking treatment for health problems related to exposure. In 2007, she capitalized on the Task Force’s efforts and passed legislation empowering the Connecticut Department of Veterans’ Affairs to establish and maintain a registry of data related to soldiers’ illnesses and potential correlations to environmental hazards they were exposed to during service. Committed to her district, Senator Slossberg successfully negotiated a land conveyance that saved the City of Milford $1.4 million and secured 2.4 acres of open space on Route 1. She secured $55 million for upgrades to the Housatonic and Beaverbrook water treatment plant, $24.5 million for the train station in West Haven, and has successfully advocated for the station in Orange. She also secured funding for West Haven’s West Shore Fire District for necessary capital repairs to the district’s two fire stations. Senator Slossberg served as Democratic Minority Leader on the Milford Board of Aldermen from 2001 until her election to the State Senate in 2004. She is a member of the Endowment Committee for “Bridges, A Community Support System, Inc.,” which provides a wide variety of community services. She served on the Board of Directors of the Milford Visiting Nurses Association, is a past president of the Mathewson Elementary School PTA, and was a mentor to a teenage mother through “Bright Beginnings,” a Yale-New Haven Hospital program that pairs experienced mothers with teenage mothers to be. For her dedicated service and advocacy, Senator Slossberg has been honored by numerous groups, including the Connecticut Nurses Association, the Connecticut State Medical Society, the Connecticut Chiropractic Association, the Connecticut Community Providers Association and the Health Education Lead Poisoning coalition. The Central Coast Connecticut YMCA honored Senator Slossberg with its Public Service Award for her commitment to her constituents and her advocacy on behalf of pro-charity legislation and not-for-profit funding. She is also a recipient of the Connecticut Association of Nonprofits’ Legislative Award for her exceptional work on advocating for clean contracting legislation in the state. Additionally, she is a recipient of the Mayor’s Committee for People with Disabilities (Milford) Humanitarian Award for her devotion to helping others and improving lives through awareness and compassion. 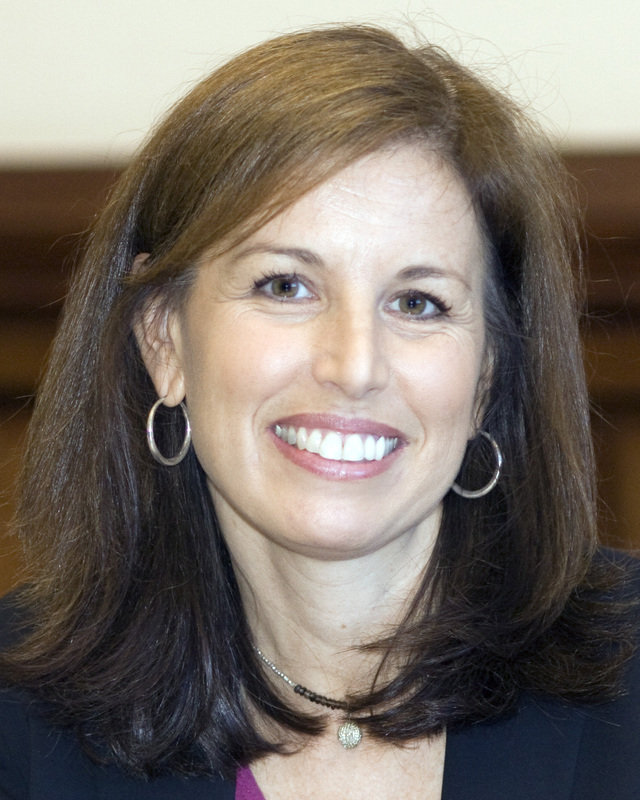 Senator Slossberg received her Bachelor of Science degree from Cornell University in 1987 and her law degree from New York University Law School in 1990. She practiced law with the firm of Cleary, Gottlieb, Steen & Hamilton, though she is currently retired from the practice of law. Senator Slossberg grew up in Massachusetts and spent many years working and managing a family business that was started by her grandfather. She lives in Milford with her husband David and their three children: Jeremy, Alex, and Rebecca.